As many fall sports are nearing their city championships, men’s golf has kicked a decent start. The varsity players consists of senior players Brendan Devine (Adv. 900), Sergio Rodriguez (Adv. 905), and Daniel O’Connor (Adv. 901), as well as juniors Liam Connors (Adv. 008) and Liam O’Connor (Adv. 004). The seniors have found it challenging yet rewarding to balance college applications and school work with the sport. “It’s been quite hard to attend every practice and matches this season for us because we have so much going on,“ said D. O’Connor. “But of course, we have been trying our best this season and I have high expectations.” The team attributes their current success to their coach, Mr. Dave Kresl. Northside’s golf team is one of the most underestimated sports teams in the school. However, that does not stop its players from performing their hardest at each match. Due to rainy weather during the past few weeks, a substantial number of games have been cancelled. “It’s been pretty hard trying to up my stats when there are so many games that we haven’t been able to play,” said Devine. The team hopes their extensive practice will be enough for the city playoffs. 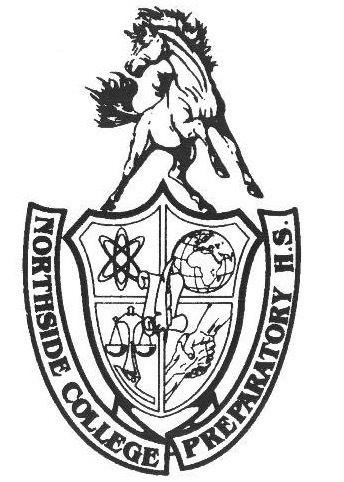 Northside’s golfers play in the CPS Red Division Conference. Every year, the Mustang’s golf team practices at the Billy Caldwell golf course in the Edgebrook area, one of the most well-maintained courses in the city. With a supportive coaching staff and a great practice setting, the team has high expectations for the rest of its season. Although golf is technically an individual sport, each point a player receives counts towards the school’s total score, which determines the outcome of a game. “The fact that our scores aren’t dependent on just us as individuals but that we work as a team; this is the joy of our sport,” said Rodriguez. Last week, the varsity team had a match at Jackson Park against Kenwood, where veteran players Devine and Rodriguez showcased their talent. Rodriguez scored a 45, while Devine scored a 50, both of which are impressive scores given how early it was in the season. Golf scores are different from most sports in that the lower the score, the better it is. The standard par of a course is 72, which means an average golfer shoots 28 strokes over par to shoot a 100. Considering this statistic, the varsity boys have been performing tremendously. In its first month of the season, the Men’s Golf team has played four matches. The team is confident in their lineup and believe they have the potential to have a successful season.